I promised a few pics of the gorgeous little ducklings. SO thought I would let you know how they are all doing. 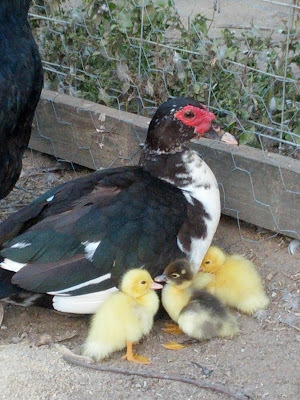 The four ducklings that Mum successfully hatched are doing really well. They have been out and about, although never far from Mum or the clucky chook who thinks she's thier auntie. I have seen them eating, so feel alot better about that. Though I haven't seemt hem drink. MAtt did place ramps to and out of the paddling pool for them (thoughI think they are still too small, but guess that's Mum's call) and I keep taking them a shallow tray of water. Though I don't know that they are using it, or whether the rest of the flock are drinking or spilling it. But in checking on the duck inside the chook shed -she who has systematically discarded her eggs for the chook eggs, as they seem to lay in her nest all the time. And to collect the chook eggs from the nest beside her- as they've started laying in there, as she'd leaving her nest less and less. To my suprise I picked up a very light egg- it had no top! 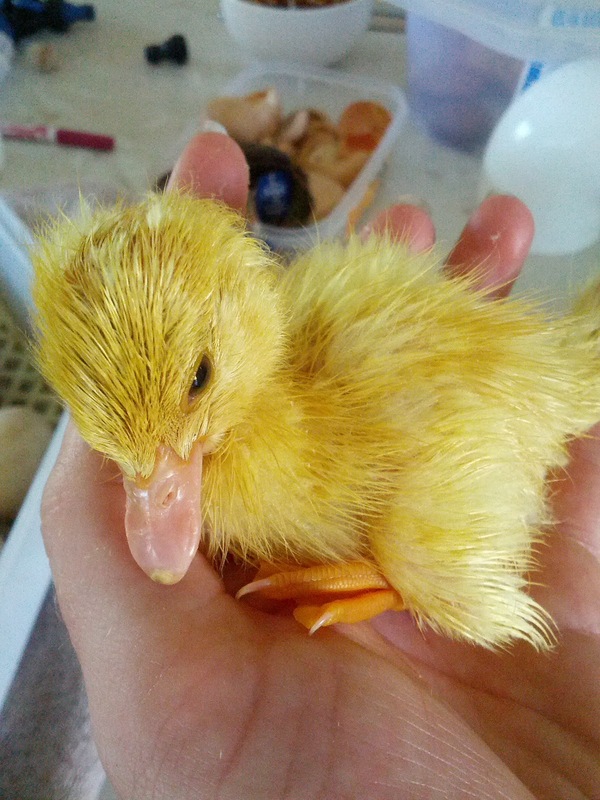 So I began scanning the shed for a duckling, trying to see in the nest by Mum... and there in the dirt at the back of the nest beside her was a little grey and yellow shape. It was cold but alive! 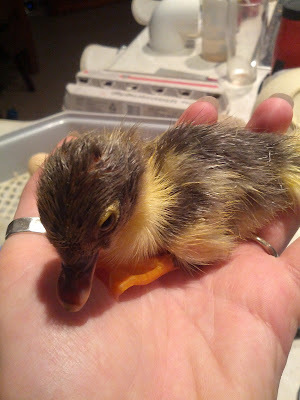 So this little one spent the night in the incubator (that I now need to clean out- again) and was doing well enough this morning to be introduced to the others in the brooder box.